Sticky is back! With a whole new mini season. We’re calling it Sticky 552, because it’s happening on Thursdays, February 5, March 5, and April 2. 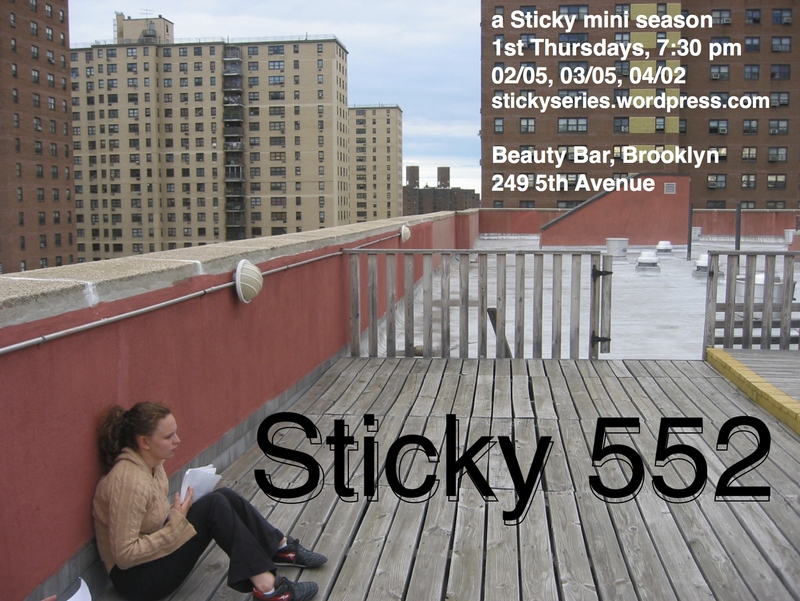 Produced by Ali Ayala, Eliel Lucero, and Michele Travis, Sticky 552 will be at Beauty Bar, 249 5th Avenue, Brooklyn, 11215. This entry was posted in Uncategorized and tagged 10-minute plays, beauty bar, brooklyn, sticky, theater on January 5, 2015 by Libby Emmons.